Ranveer Singh and Deepika Padukone are looking nothing less than a Royal Couple. 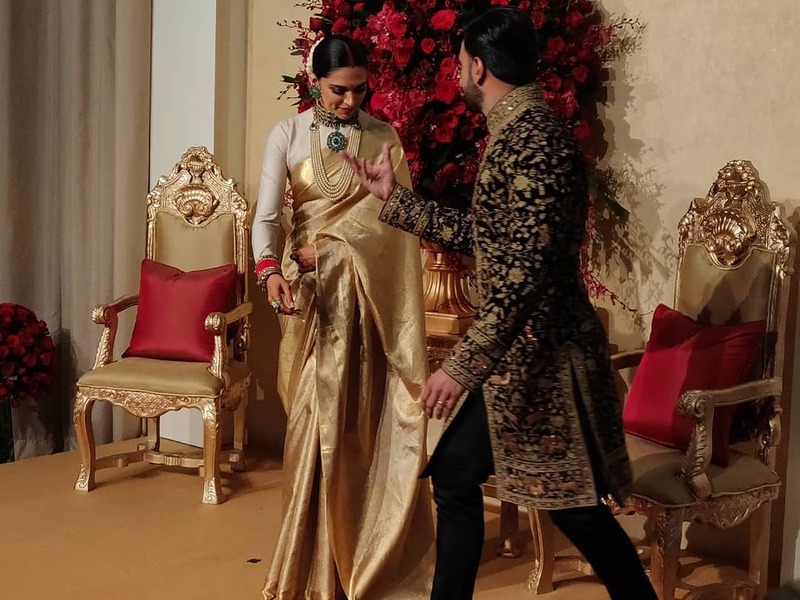 The newlyweds who are at Bengaluru for their Wedding reception chose to go the regal way with their attires for the evening today. 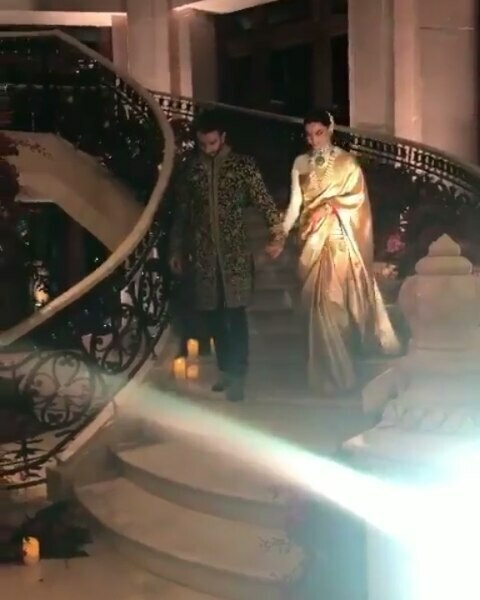 Deepika is wearing a Saree from Angadi Galleria collection and is gifted to her by her mother Ujjala Padukone. 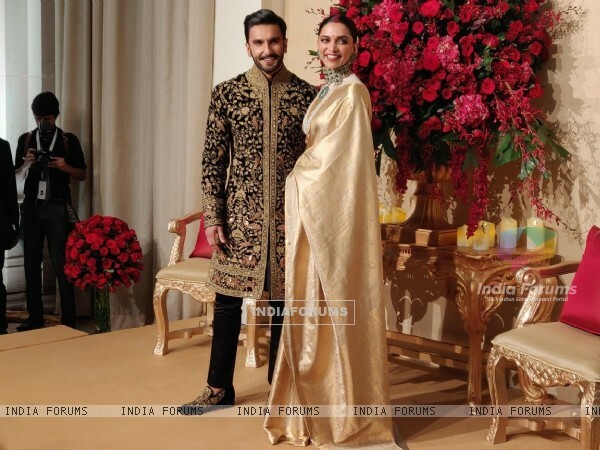 On the other hand, Ranveer is wearing a Sherwani designed by celebrity fashion designer Rohit Bal. 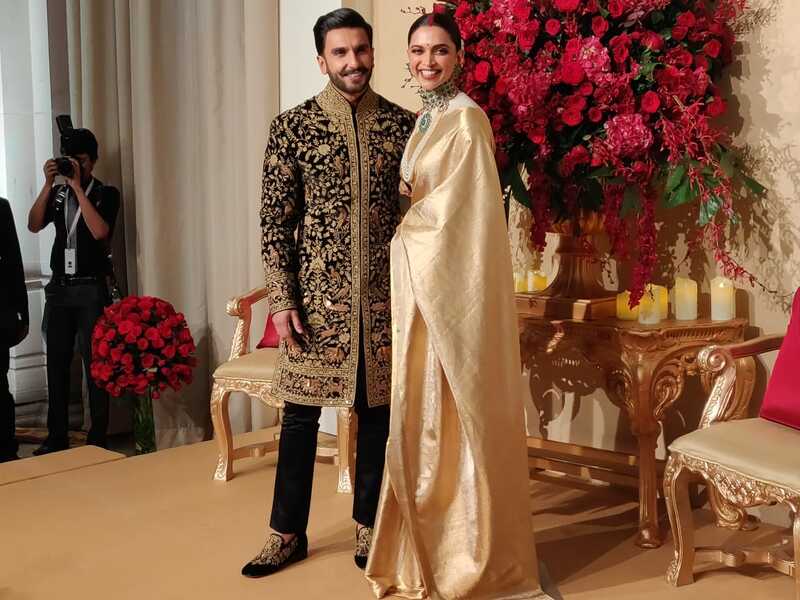 Celebrity fashion designer Sabyasachi Mukherjee who has been the man behind maximum of their wedding attires so far revealed the designers they are wearing today. 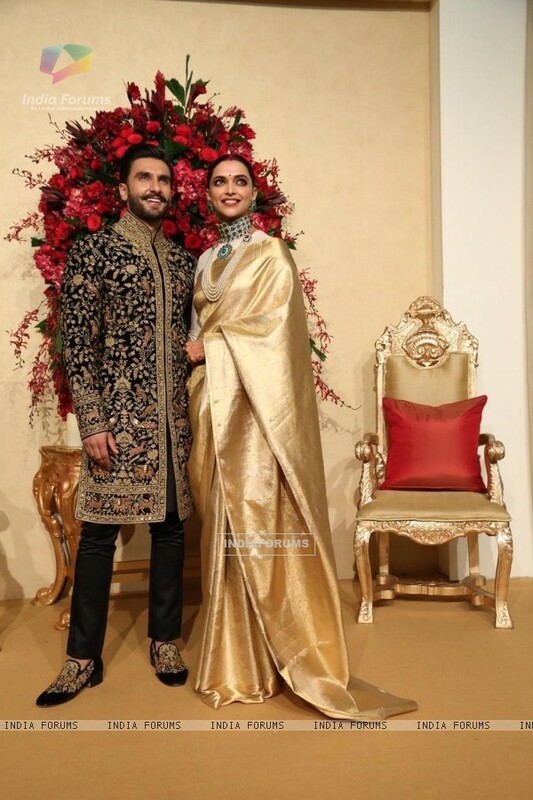 Sabyasachi Mukherjee who was responsible for all the sartorial grandeur at Ranveer Singh and Deepika Padukone’s wedding in Italy has reworked his magic, this time on the bride alone, for her reception in Bengaluru. 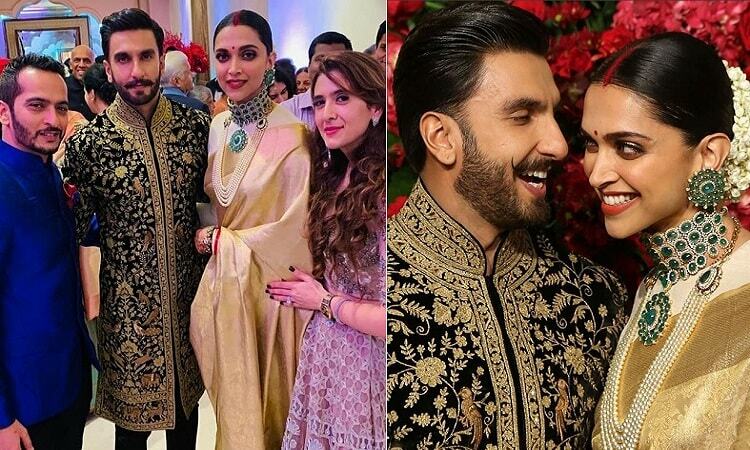 And ace couturier, Rohit Bal has on Ranveer Singh. 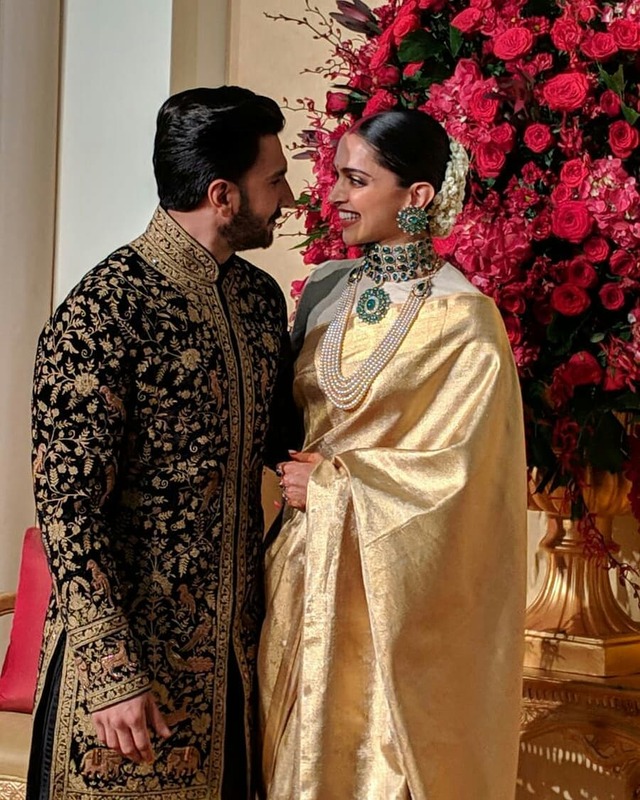 Talking about the new bride’s look, Sabya literally amplified Deepika’s ivory blouse and golden saree (gifted by DP’s mother) ensemble with emerald studded choker, matching earrings and a long pearl necklace. 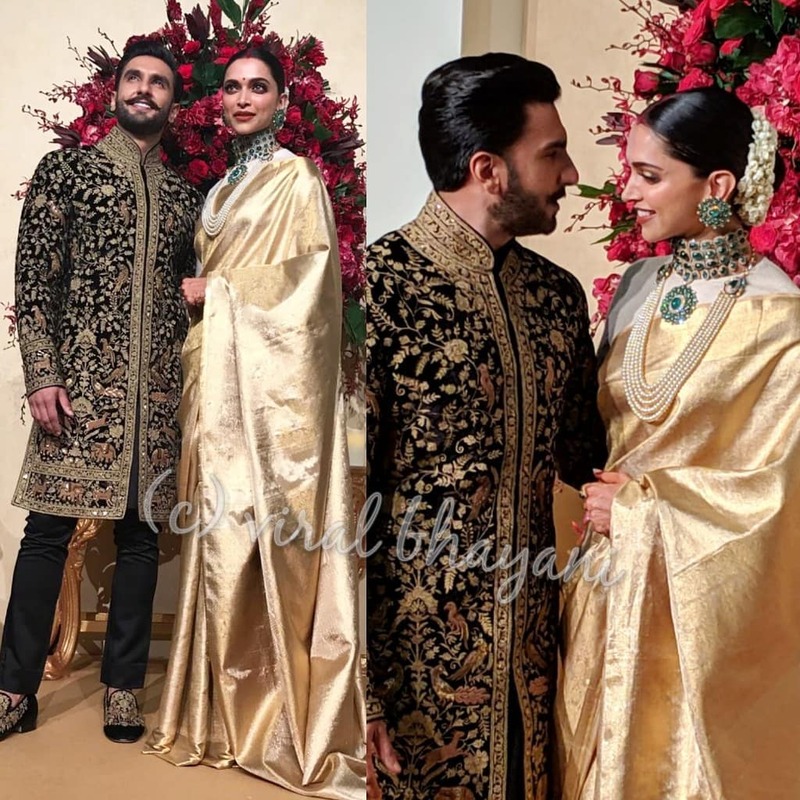 All this, while Ranveer looked dapper in a Rohit Bal designed black ethnic formal wear, replete with golden floral embroidery and matching shoes to go with it. 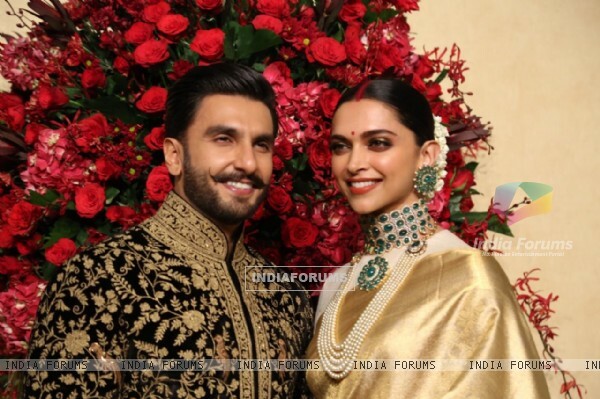 As expected from a newly married woman, DP’s beauty look incorporated red vermillion filled centre parted low do, adorned with flowers and red bindi. Rest of her makeup was just enough to keep her natural beauty glowing.